Hand tools are an essential item for backyard gardeners, and using high quality tools means you’ll get the job done quicker while experiencing less wear and stress on the limbs and body. 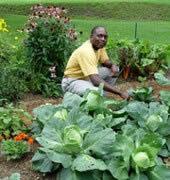 Good quality also makes the purchase of garden tools an investment that will last for years, or even generations! I have high-quality digging forks and garden shovels that I’ve been using for over twenty-five years and they are still just as functional and useful today as they were when I purchased them. Of course they have been well cared for, but they were also constructed with care and quality materials. 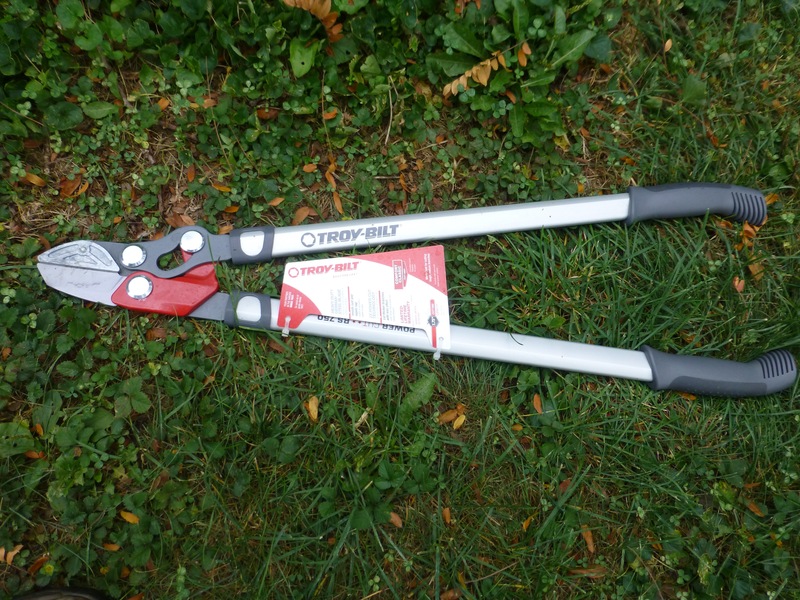 So I was curious to see what Troy-Bilt had in store when I discovered they were releasing a new line of hand tools, and I jumped at the opportunity to obtain a set to review. The collection that I received included a couple of hand trowels, a hand rake, an anvil pruner, and an anvil lopper. 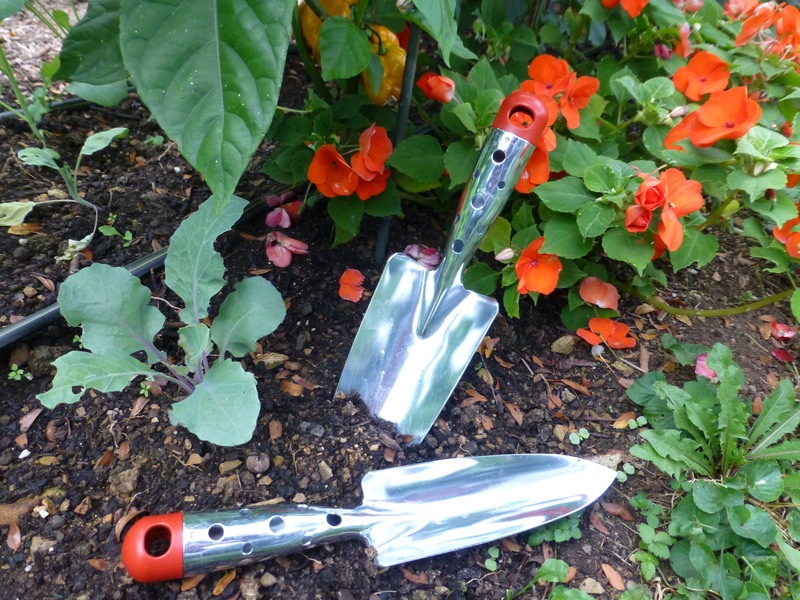 The quality was readily apparent as the trowels and hand rake are forged from glossy galvanized steel, with a solid feel and weight but are very comfortable to the grip. They are constructed from one piece of steel with a small plastic cap added to the end of the handles. So there’s really nothing to break or that will require any maintenance other than brushing the dirt off after using. In the garden trowels come in handy for digging, planting, weeding, marking rows, and making furrows for seed starting. The garden rake is great for side dressing with compost or granular fertilizers, cultivating the soil to prevent weeds from germinating, and for leveling ground or loosening earth that has crusted over. There’s not much more to say other than these tools work as intended and there isn’t any doubt in my mind that they will last through a lifetime of gardening chores. I would have guessed the sales price to be higher than the $5.99 apiece for the Premium Planting Trowel and the Premium Flower Trowel, or the $6.99 price for the Premium Garden Rake that is listed on the Troy-Bilt website. The Comfort Max Anvil Pruner that I received is an anvil style pruner that is good for cutting mature or dead branches and limbs. 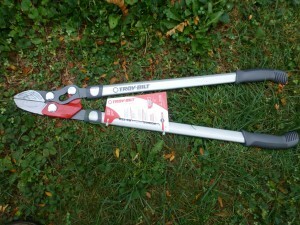 Troy-Bilt also offers bypass style pruners which are more useful for pruning fresh shoots and younger branches because the cutting action slices without crushing and promotes fast healing; just be sure that the sharp edged blade of the pruner is toward the plant matter that will remain after the cut is made. The larger Comfort Classic Anvil Lopper that I tested out featured Troy-Bilt’s 2X Power Cut Technology. 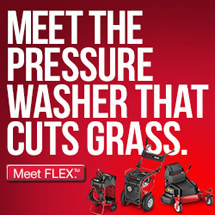 This feature is designed to allow for cutting larger branches with less effort! Again the loppers are available in both the anvil and bypass styles and in various sizes of cutting capacity from 1.6 to 2 inches. 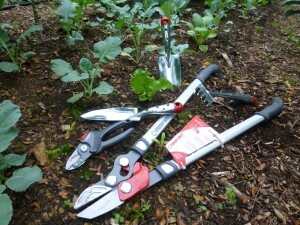 In addition to the tools that I tested in my garden Troy-Bilt also offers a folding hand saw, a garden weed remover, and pruners with integrated wire cutters. 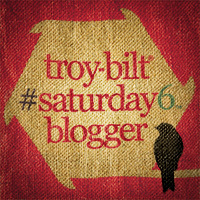 You can find descriptions and pricing for all the items in this new line on their web page at: www.troybilt.com/equipment/troybilt/garden-tools. Hey Ken , You always recommend the best tools, books and supplies. in the new house on 2.5 acres…and I’m planting and growing like crazy. Yay!